Makita strives to imbue it’s name brand quality into all of the kits it assembles ultimately in order to offer their consumers more bang for their American buck. This is more apparent than ever with the introduction of the brand new Makita Three Piece combo Kit XT322. Featuring three super stars from the Makita line up including the Makita 18V LXT Lithium-Ion Cordless 1/2″ Hammer Driver Drill (LXPH01Z), the 18V LXT Lithium-Ion Cordless 1/4″ Hex Impact Driver (LXDT04Z), and finally, the 18V LXT Lithium-Ion Cordless Reciprocating saw (BJR182Z). In addition, this Makita kit keeps you charged and ready for action with the inclusion of two 18V LXT Lithium-Ion Batteries (BL1830), a handy 30-Minute Rapid Optimum Charger (DC18RC), as well as a Tool Bag, the 821016-X. The XT322 Combo Kit is your friend with features including a Makita-built 4-pole motor, that roares out 480 inches per pound of maximum torque. The variable 2-speed design runs at 0-400 & 0-1,500 RPM’s as it covers a wide range of drilling, driving and hammering applications. The compact design is a modern make over, that has a length of only 8-1/8″ inches and weighs only 4 total pounds. This new feature alone, offers a reduction in operator fatigue and loss of control. 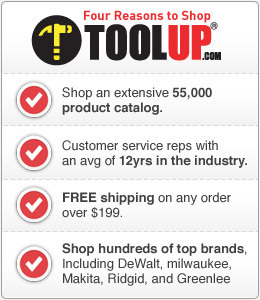 In addition, each of these Makita tools are equipped with a built in L.E.D. light, including an afterglow that self adjusts to illuminate the work area. Another new feature is the redesigned rubberized soft grip, which provides increased comfort on the job. Finally, the all metal gear construction provides increased durability for the user, offering years of great tool use.